Every night from 15 to 18 March, the sky of Valencia is filled with the light and colour of impressive firework displays. At 12 midnight, people gather on Paseo de la Alameda to enjoy the best display of colour and light. 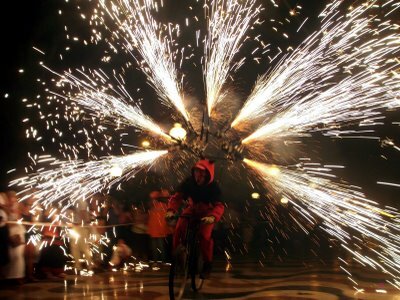 Not to mention the spectacular Nit del foc (Night of Fire), which is held during the early hours of the 18th and offers a fireworks display which is the only one of its kind in the world. Enjoy your stay with Purple Nest Hostel!